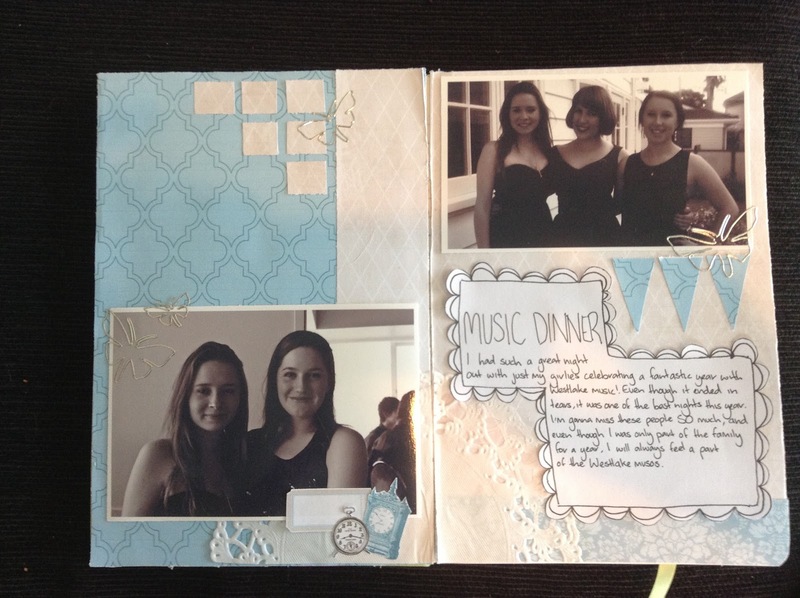 Susie's SMASHing Summer: Music Dinner! So this is the first post of my scrapbook (or rather journal) and is my page for the latest CSI case file. 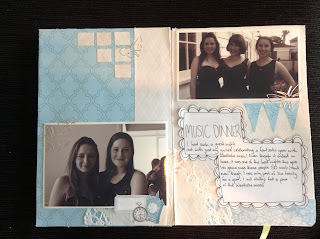 It's based on the music dinner that my school had a few weeks ago now to celebrate the success of our musos over the past year. 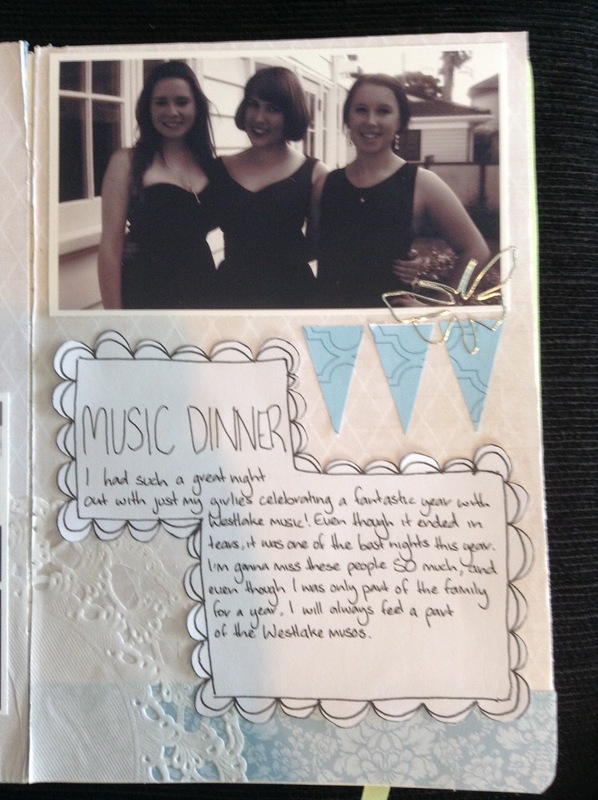 I had a ball and i will miss the all the musos so much as i go off to uni next year. 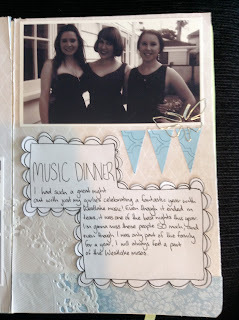 The journaling reads: I had such a great night out with just my girlies celebrating a fantastic year with Westlake music! 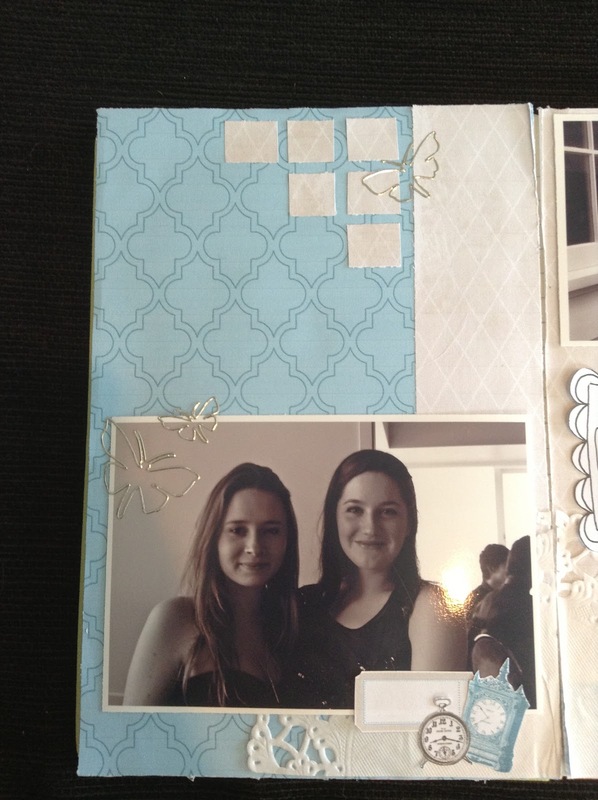 Even though it ended in tears, it was on of the best nights this year. I'm gonna miss these people SO much, and even though I was only part of the family for a year, I will always feel a part of the Westlake musos. I didn't use the green in the color scheme cause i have issues with multiple colors (its a problem that i'm trying to deal with) so i stuck with the blues and it kinda turned out almost 'winter wonderland' themed, which had not been my original intention. I tend to tangent a LOT, not just in conversation but in scraping also.